The Bible contains numerous discrepancies therefore it cannot be swallowed dogmatically as a whole. For this reason it is also written (Ephesians 4:11-13) that God appointed apostles, prophets, evangelists, pastors and teachers. In Romans 10:14 it is written, “How will they hear without a preacher?” And in the Gospel of John 16:13 Jesus states that when the Holy Spirit comes He will lead us into all the truth; He will guide, teach and even reveal the future. Man’s dogmas and theology has been only designed to form camps and to shield the faithful from any “contamination” brought upon other teachers or preachers branded as false. This emotion was strong during the dark ages where free thinkers were labeled heretics who then were tortured and killed. This spirit of religion has not gone to sleep, nor is it dead; it is very much alive. It resurfaces in many forms, which one of them is fundamentalism, a rigid and unintelligent approach to anything having to do with divinity. Religious views divide for the conflict is root-cause are always incomplete and often blind beliefs void of full comprehension. 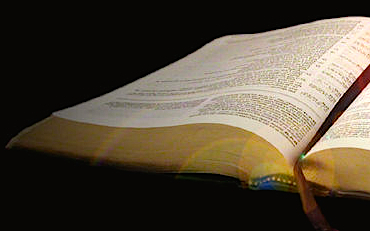 Thorough study of scriptures leads to better understanding, which comes to us by the ministry of the Holy Spirit who makes things clear, logical and one.